Following on from last week’s photo-essay on the property crash in Ireland and Spain, Emma Cummins draws attention to two recently published crime novels that take place on unfinished housing developments. Telling stories of alienation, murder and marriage breakdown, ‘Broken Harbour’ (2012) and ‘Gone Girl’ (2012) dramatise the devastating impacts of austerity and unemployment—but what can we learn from these popular works of fiction? Beyond their undeniable, commercial success, what do these tales of ‘murdering middle class’ residents reveal about the psychological effects of neoliberalism and austerity? Despite the optimism of Ireland’s ‘Celtic Tiger’ years, the fictional environs of Ocean View suffer a fate worse than death or demolition. Mirroring the story of thousands of properties in present-day Ireland, the development lives a painful half-life; an aborted existence haunted by ‘the ghosts of things that never got the chance to happen’. The background to the economic crisis in Ireland has been well documented, however its psychological impact is less easy to put into words. If, to quote Bernardo Soares, ‘some truths cannot be told except as fiction’, it is imperative to explore what works of art and literature reveal about the problems of neoliberal development. With record levels of unemployment, drastic public sector cuts and increased taxation, Ireland’s fall from grace is almost unfathomable. Subsequently, French’s cautionary tale of a family who thought they had done the ‘right’ thing – worked hard, bought property, started a family… – is a fascinating meditation on the contemporary Irish psyche. Before moving to Ocean View, Patrick and Jenny Spain are perceived as the quintessential, ‘Celtic Tiger’ couple—an attractive and reasonably affluent husband-and-wife who signed ‘a hundred and ten per cent mortgage’ deal in 2006. Escaping city life for what seemed like the suburban dream, the Spains wind up stranded, distressed and unemployed in a development of ‘skeleton houses’ and broken promises. 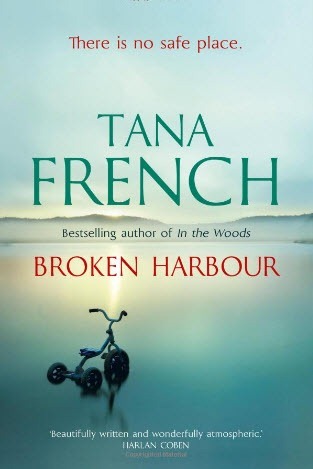 Displaying strong parallels with Gillian Flynn’s bestseller Gone Girl, Broken Harbour paints an unsettling picture of today’s broken, middle-class. Indeed, one of the strongest commonalities between the Spains’ trajectory and that of Nick and Amy Dunne in Gone Girl is the impact of unemployment on family life. Both newly-wed couples, the Spains and the Dunnes are portrayed as smart, hard-working people—Nick and Amy were successful writers in New York, whilst Patrick Spain worked in financial services recruitment before ‘they let him go’. Even Jenny, who quit work before moving to Ocean View, ‘got really serious about being a stay-at-home mum’, keeping the place ‘spotless’ even as her family life unravelled. In turn, the fall of both couples into a violent, domestic dystopia is accentuated by the belief that they had done things ‘right’. 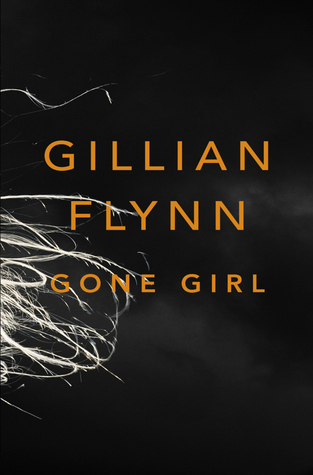 Gone Girl is a three-part tragedy that implicitly references the American subprime mortgage crisis. Facilitated by a laissez-faire attitude to lending, “mortgage meltdown” reached in a peak in 2006 with an unprecedented rise in foreclosures—by the end of 2007, nearly 2 million Americans had lost their homes. At ‘The Future State of Ireland’ conference last November, Professor Luke Gibbons described a new trend in Irish film and crime fiction, that of the ‘murdering middle classes’. Citing books such as Broken Harbour and Alan Glynn’s Winterland, and films such as What Richard Did and Kisses; he explained how contemporary portrayals of a ‘dystopian Ireland’ offer new readings of the ‘fallout of the Celtic Tiger’ period. Forced to live in strange recession-scapes, the couples in Gone Girl and Broken Harbour blame themselves and each other. Resulting in madness and murder, the psychological trauma experienced by the Spains and the Dunnes is accentuated by the fact that they internalise their worries. Whilst both couples are portrayed as busy, sociable people during the ‘boom years’, all four protagonists retreat, in different ways, from their friends and the few neighbours that they have. Notwithstanding a close relationship between Nick Dunne and his twin sister Go – who has ‘moved back home after her own New York layoff’ – there is a sense that the main characters in these books are too ashamed to share their feelings. Whilst Broken Harbour and Gone Girl capture the mood of a generation; whilst they act, in some ways, as barometers of the post-2008 psyche, neither French nor Flynn can bring themselves to write a happy ending. In the end, both books are tragedies because the authors make it so, but that does not mean we cannot learn from them. Surviving on a diet of crisis and contradiction, capitalism reproduces itself through a process of constant modification and self-destruction. In Mark Fisher’s words, it ‘is fundamentally and irreducibly bi-polar, periodically lurching between hyped-up mania (the irrational exuberance of ‘bubble thinking’) and depressive come-down’. [vii] Whilst we are all complicit in the movements of capitalism, it is important to remember – particularly in times of crisis – that capitalism is itself traumatised. In this way, the distress experienced by citizens in present-day Ireland, America or elsewhere can be understood as an expression of a much bigger pathology—a disease that no one individual can solve.